New Andersen architectural windows and doors expand your design possibilities. Carefully handcrafted in dramatic sizes and shapes, they beautifully complement the 400 Series and 200 Series products. Arch top casements, Spring line patio doors and a host of other unique window and doors will make any project special. 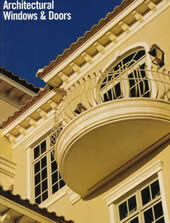 If you can dream it, Andersen architectural window and doors can help you build it.